Something quite unique happened on Sunday. 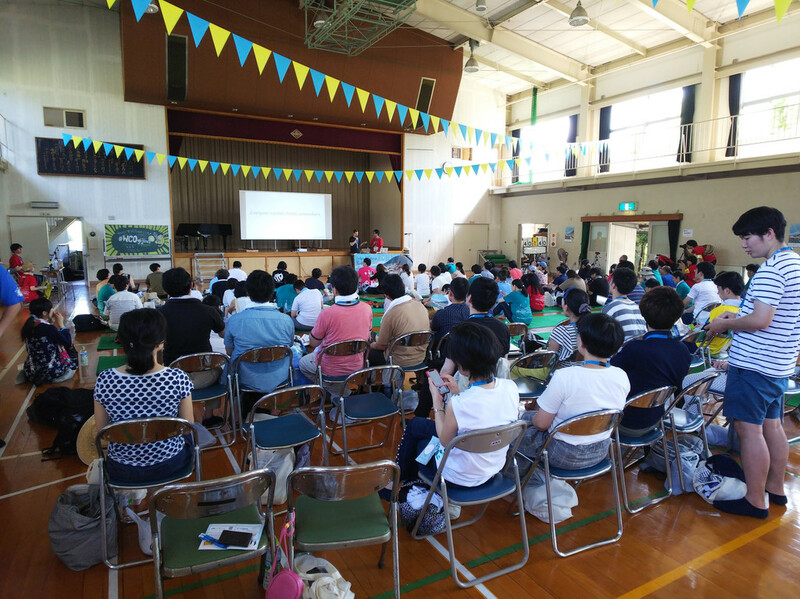 The very first Wordcamp Ogijima! In case you don’t know, Wordcamp is a series of conferences around and about WordPress. 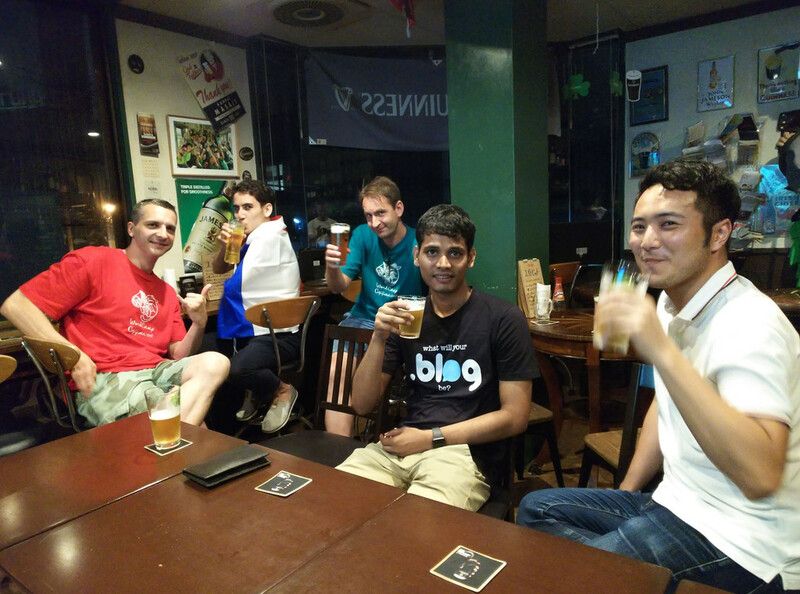 It’s the event where WordPress users, developers, coders and more gather, meet, network, etc. What is WordPress some of you may be asking? It’s a software to create blogs and websites, the software I’ve been using for the past eight and a half years to create all my blogs and sites. 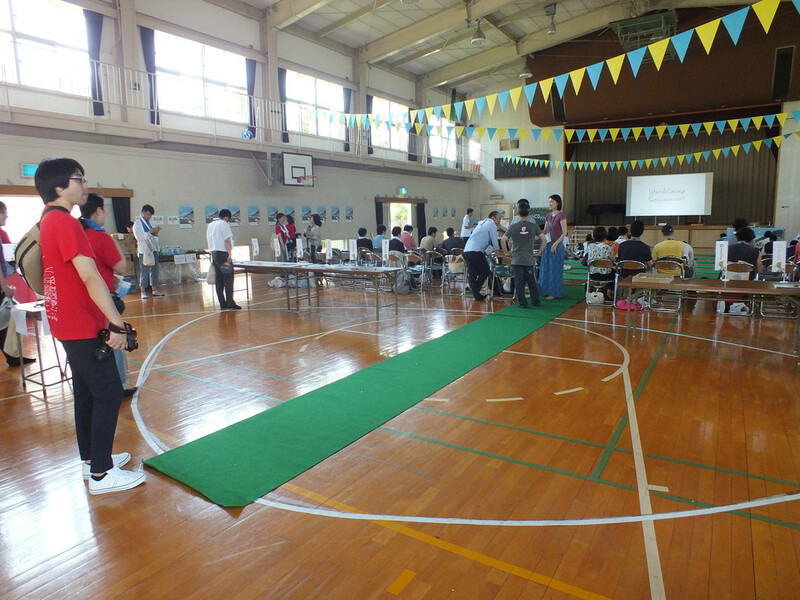 Having a Wordcamp on Ogijima was quite a big deal. 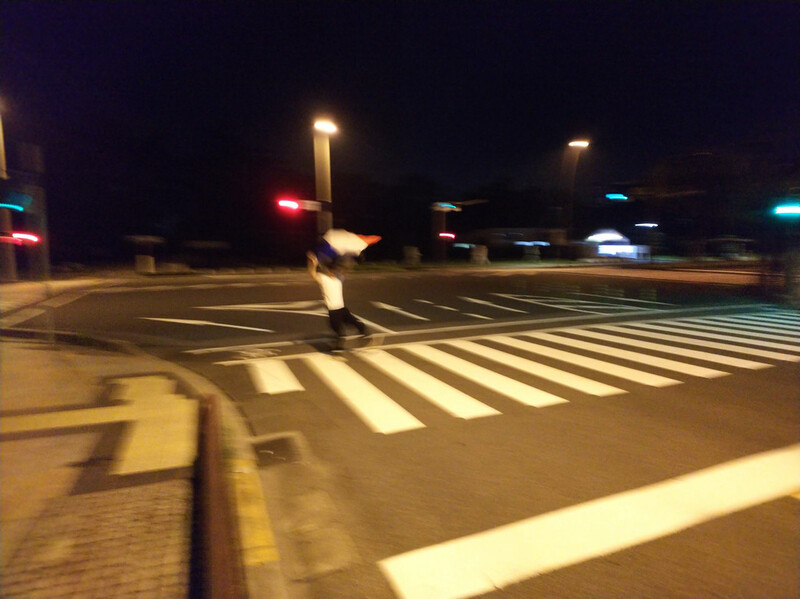 As you can imagine, those events are mostly organized in big cities all over the world. 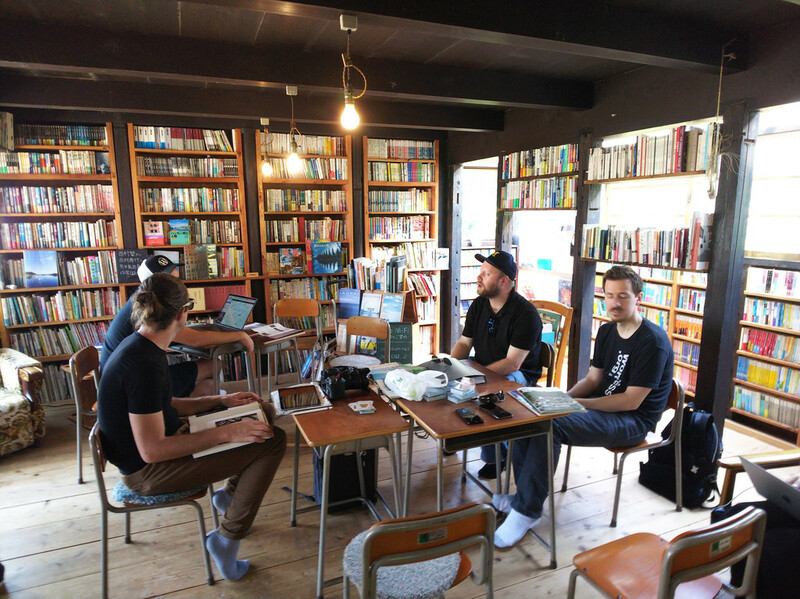 Yes, but in recent years, two prominent members of the Japanese WordPress community have moved to Ogijima, namely Junko Fukui-Nukaga and Shinichi Nishikawa. 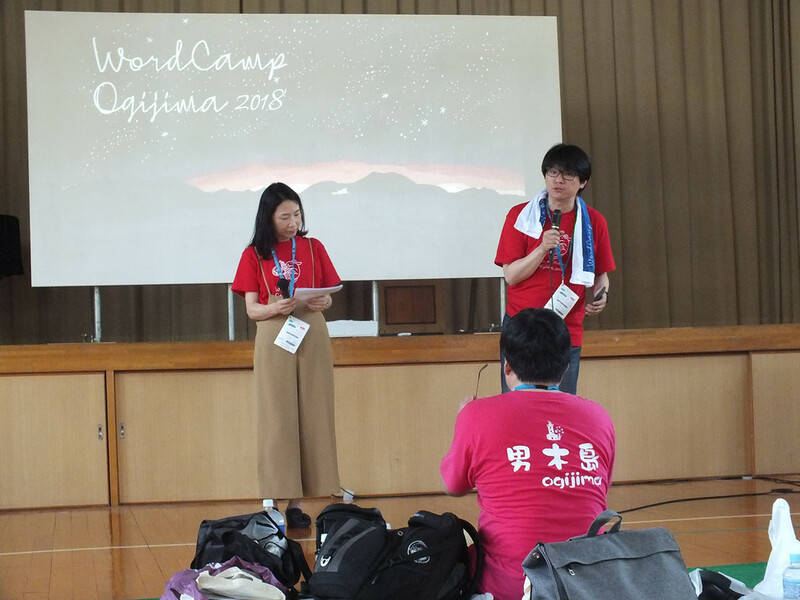 They both work in IT, are extremely active with the WordPress community and have already been part of the organization of Wordcamps in Kansai and Tokyo, respectively. 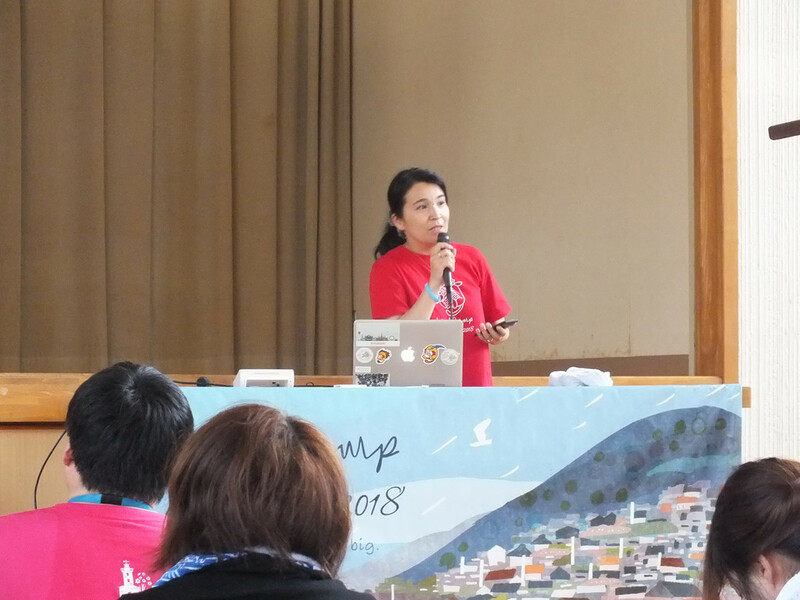 A few months ago, after having already organized numerous WordPress workshops on the island, they thought why not organize a full-blown Wordcamp? And this is what they did. 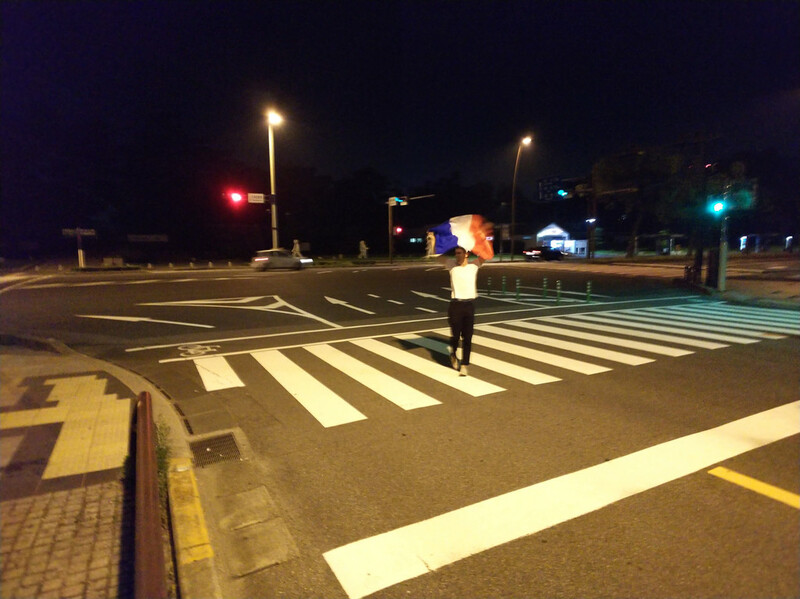 And it happened last week-end. My personal involvement with the WordPress community is pretty much non-existent (I’m a blogger, my technical expertise beyond writing and posting pictures is very limited), however my personal involvement with Ogijima’s community is not (and I hope it will keep on becoming more and more important in the future), so I had to attend. I personally think those kinds of events are as important if not more as tourism for a successful revitalisation of the island. Hence me reporting it here. And even if you don’t care that much (or at all) about WordPress, may I suggest that you stick around for the entire post, there will be a few tidbits about other things. 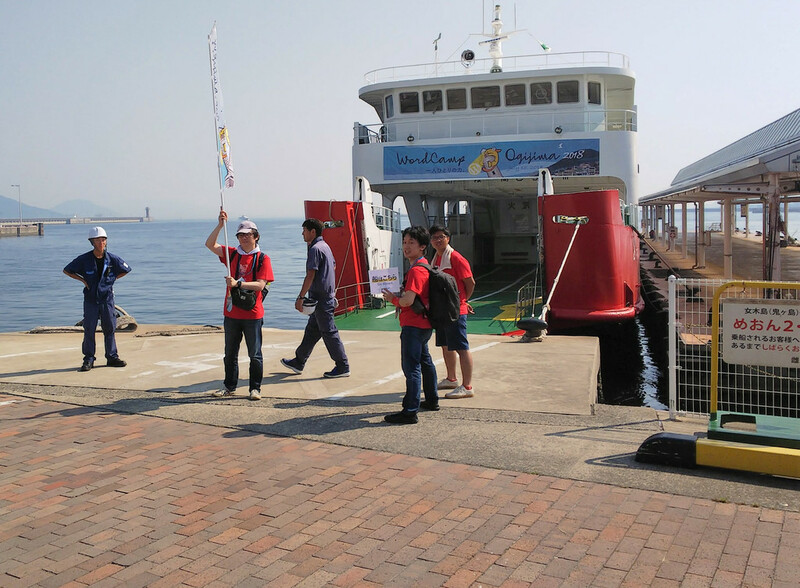 In addition to the regular 8am and 10am ferries to Ogijima, an extra one had been chartered just for Wordcamp. Of course I had to take that one. After registration on the port, we were welcomed by staff members, comprised of very familiar faces, as well as new ones. 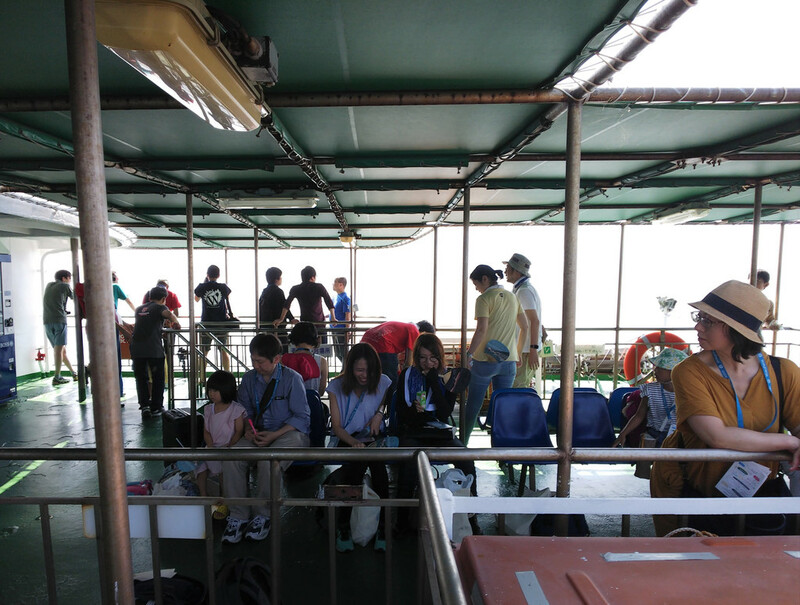 The ferry wasn’t too crowded – mostly because there were three of them to bring everyone to the island. Also, it was already hot, even at 9am, so a lot of people were inside. Still, the excitement of the passengers was tangible. 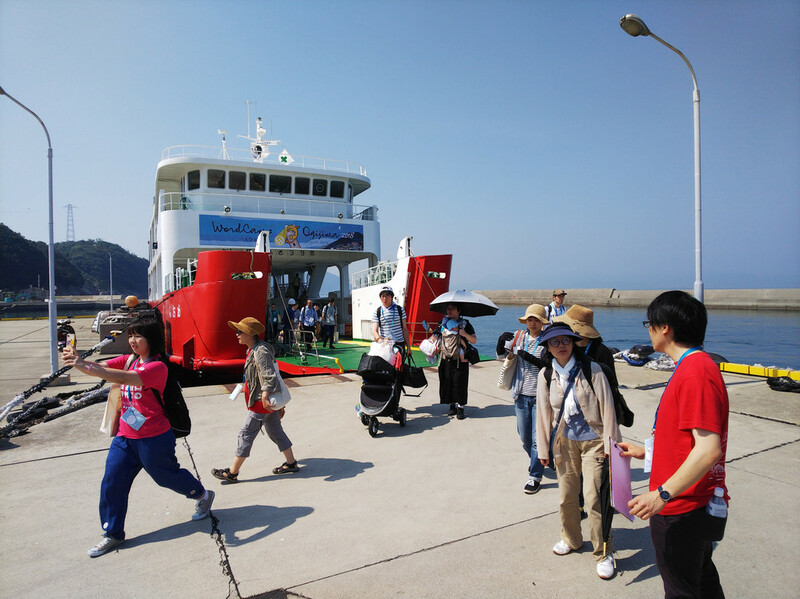 It was their first trip to Ogijima for most of them, and it felt a little bit like the Setouchi Triennale‘s opening day. 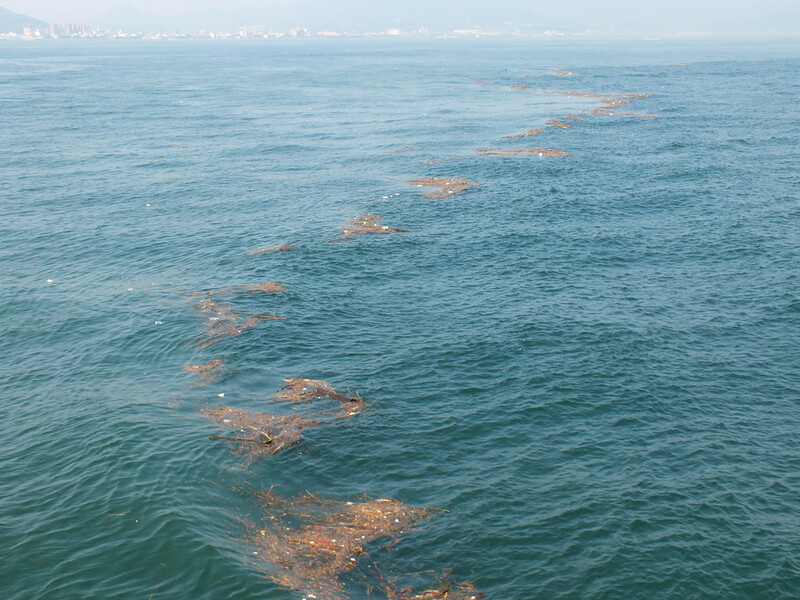 Here, the floating wood seems to mark the limit between two different masses of water. 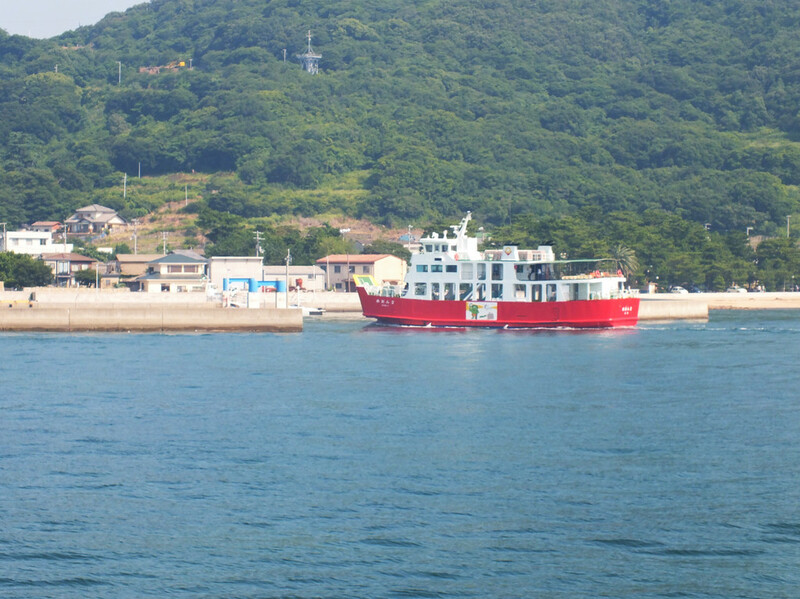 The regular Meon (actually “Meon 2”) entering Megi Port. I can’t usually see it as I’m usually on it. 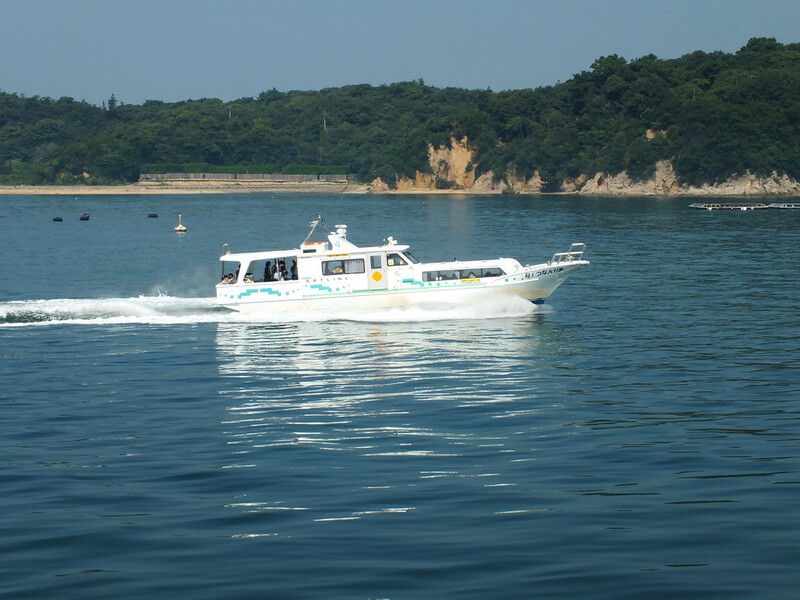 Teshima Art Line speed boat going to its home island. 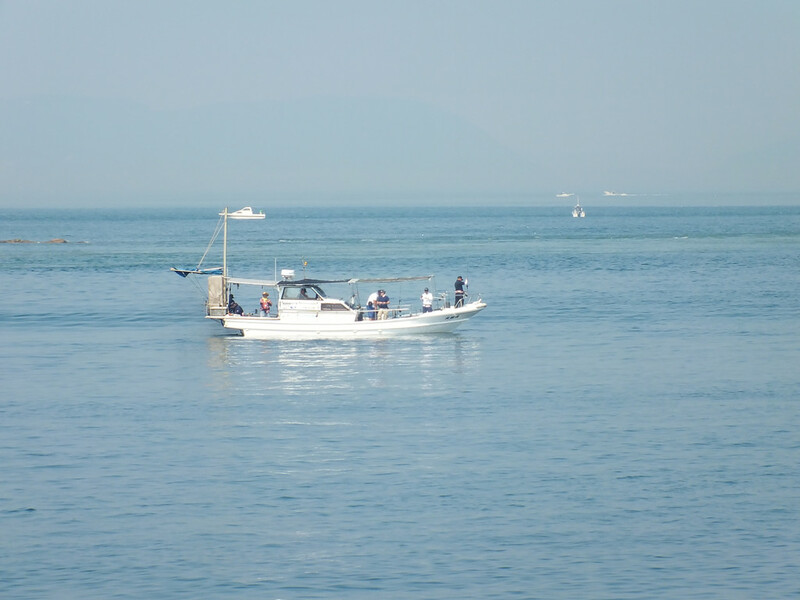 This boat had a lot of people on board to be a regular fishing boat. 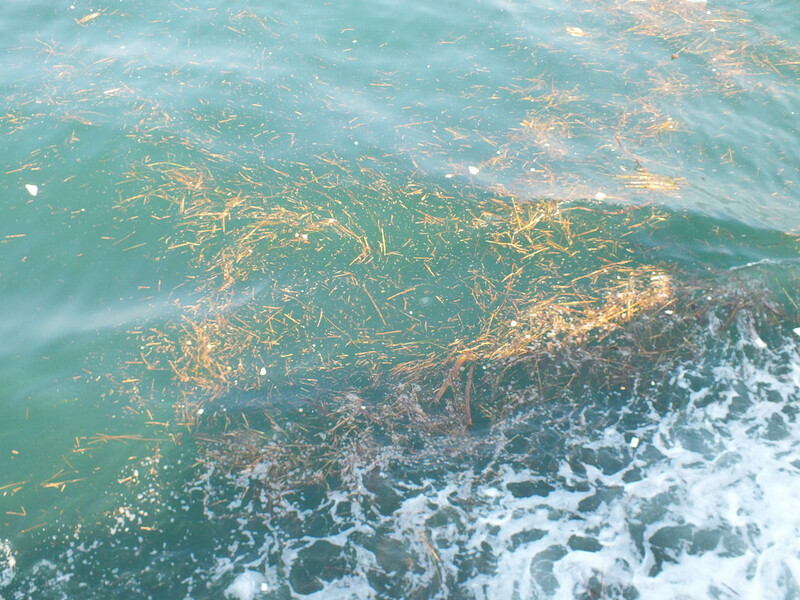 It headed to Ogijima too. Not sure who was on it. 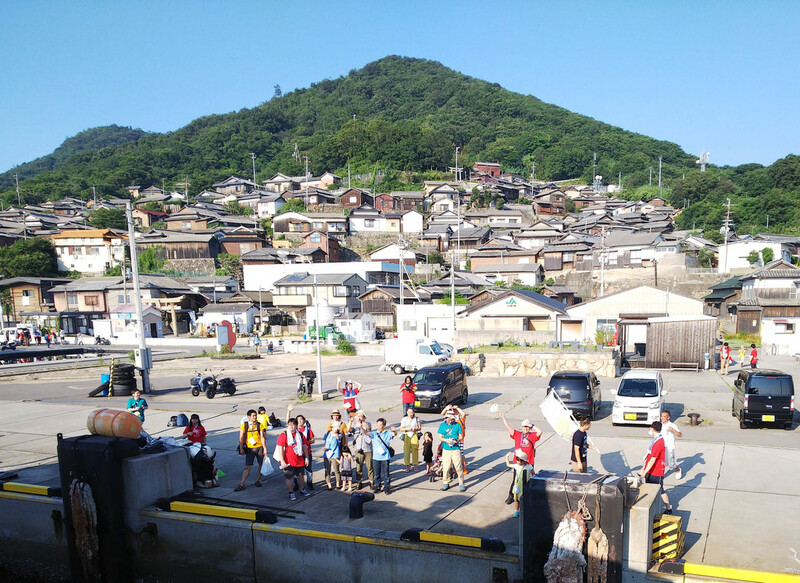 Arriving on Ogijima. 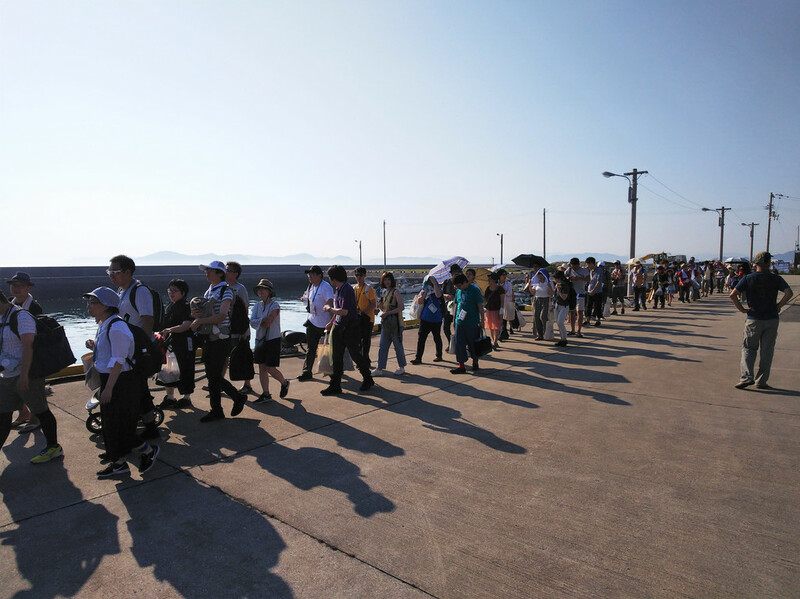 Once again very reminiscent of the Setouchi Triennale day in terms of atmosphere on the port. Before heading to the school’s gymnasium that was the venue of the event, a brief stop at the Library where I met some friends as well as some new people. 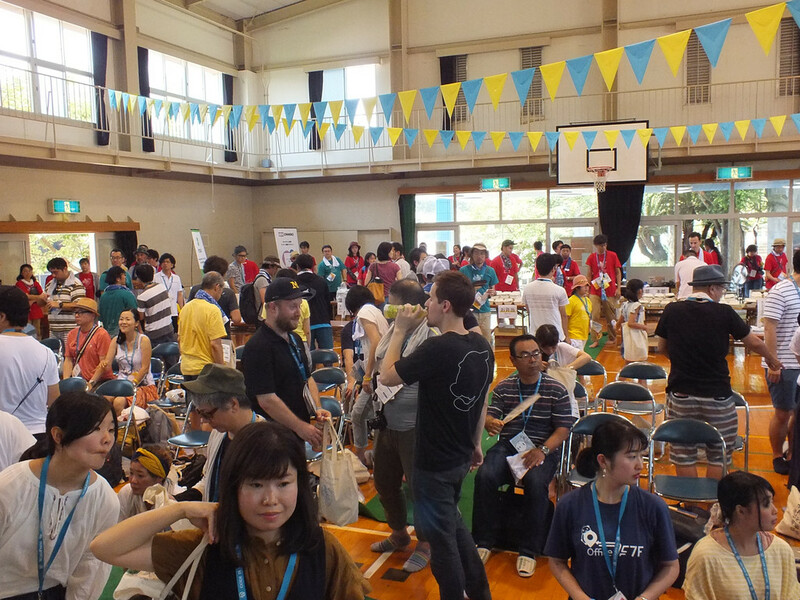 The Library seemed to be serving as a hub for the foreigners present at the event for some reason. 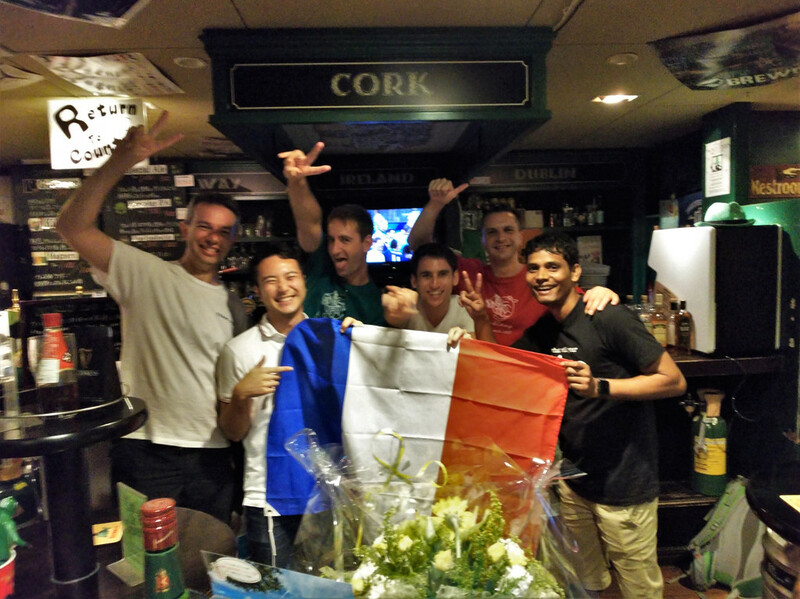 There were more foreigners than I was expecting. Between 10-20 I’d say, for an event attended by 250 people total. 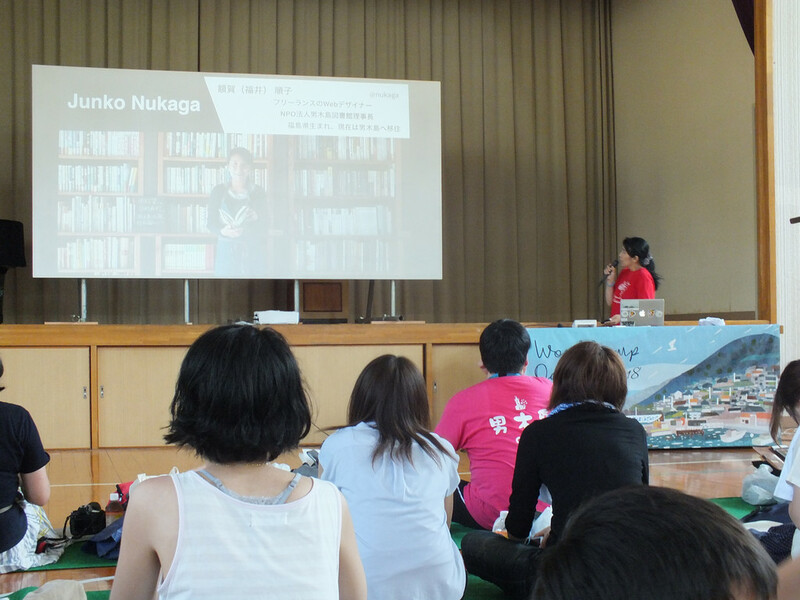 Still, kudos to him, because, he not only gave a presentation, but he also fed all of the participants for lunch, making 250 or so Bento the previous day and in the morning. 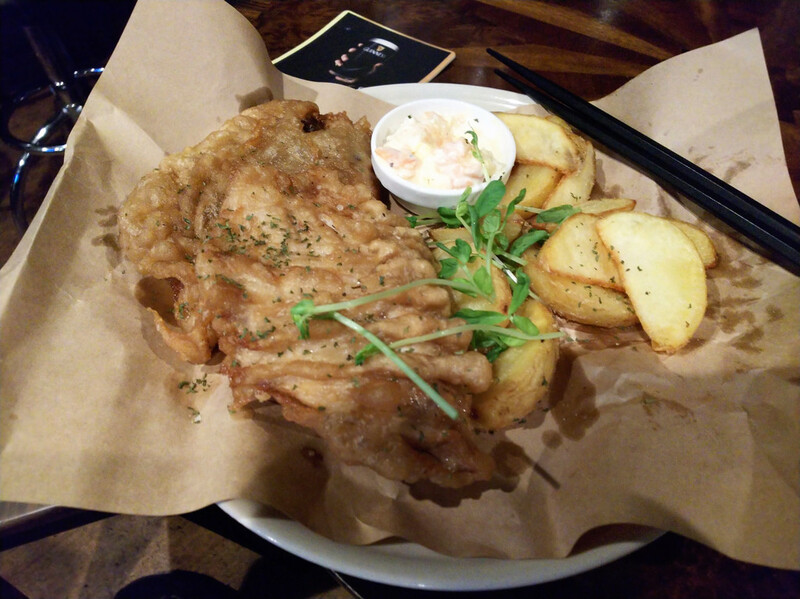 And it was as delicious as the food that he usually serves in his café, Damonte Shokai (I will talk about it in more detail in this blog sooner or later, it’s just taking longer than expected, sorry Kaisho if you’re reading this). 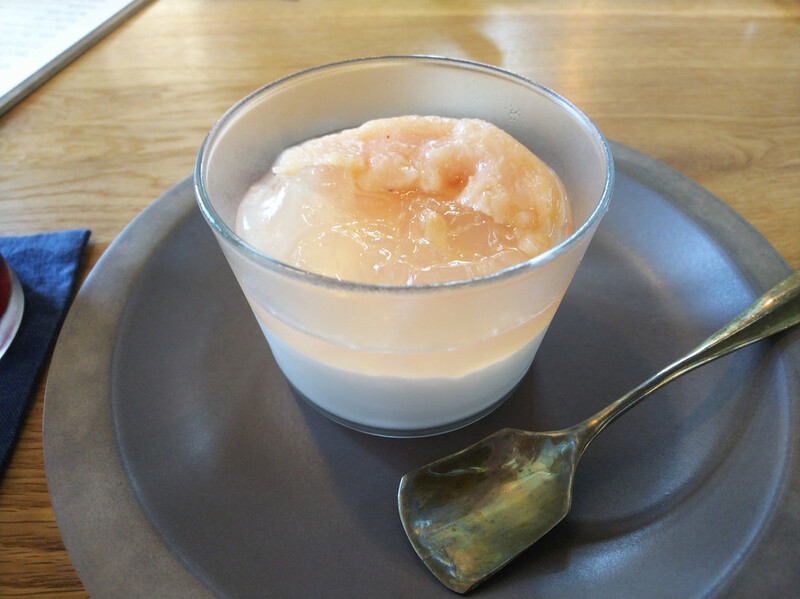 A delicious pana cotta from Damonte Shokai. 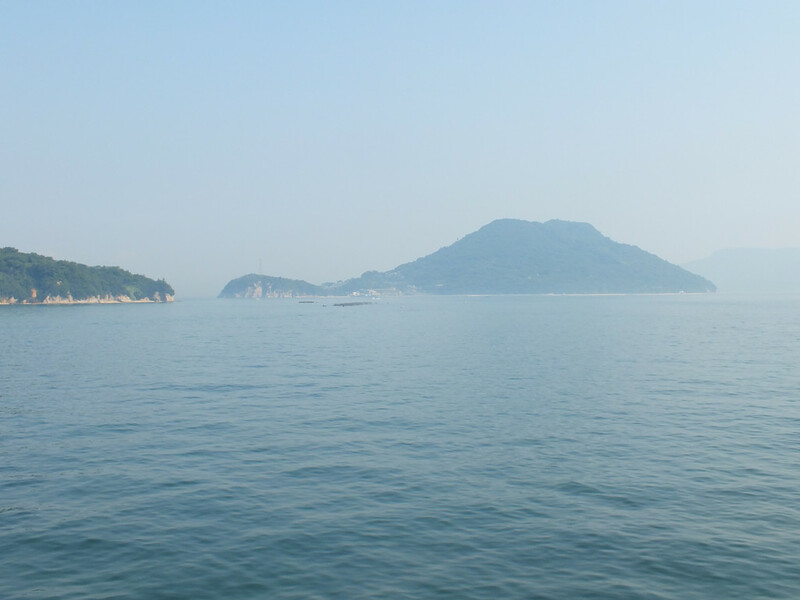 And soon, it was time to return to Takamatsu. 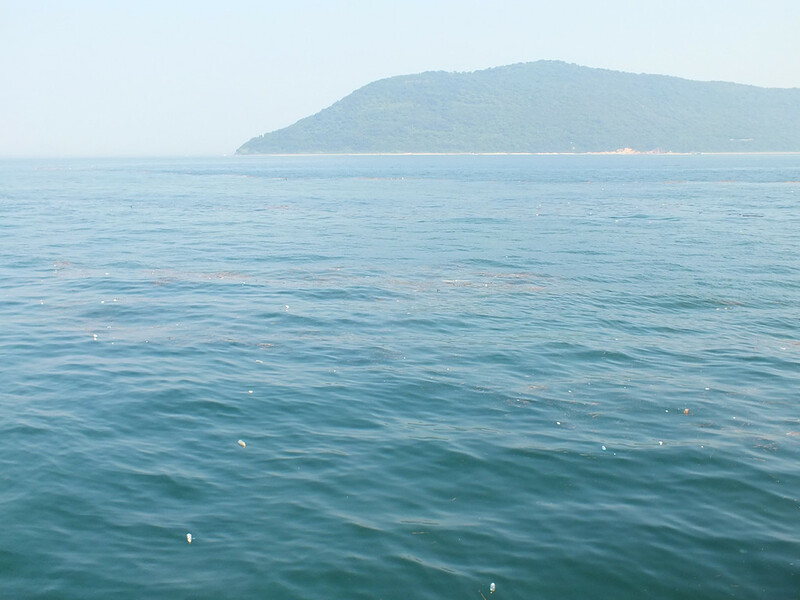 Some people stayed on the island for the night for a giant barbecue and even camping for some of them. I originally thought I was going to do that too, but it didn’t happen. 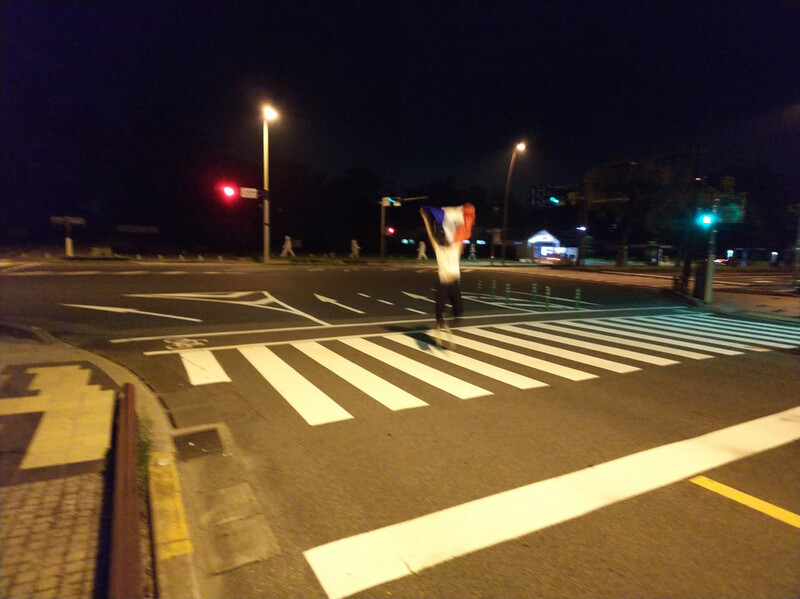 It turned out that there was other plans waiting for me in town. 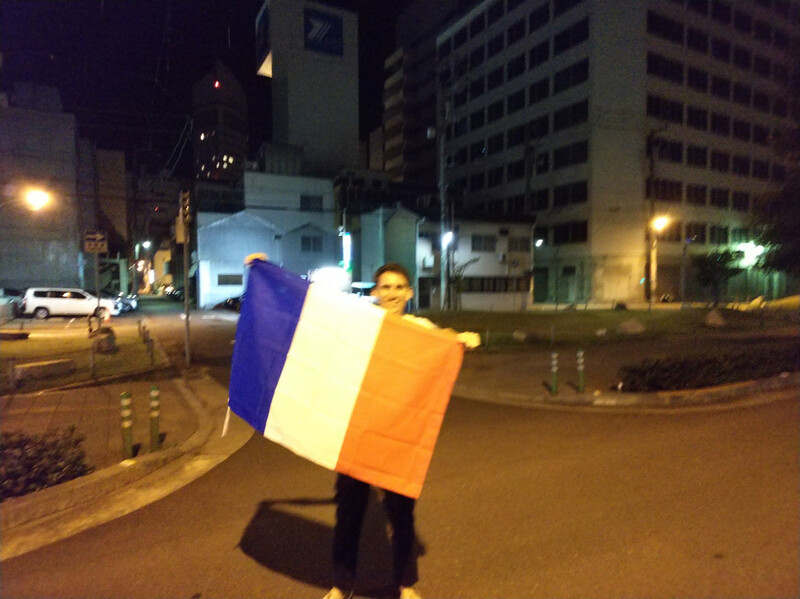 And then, France was World Champion 2018! That’s all for a pretty eventful day. 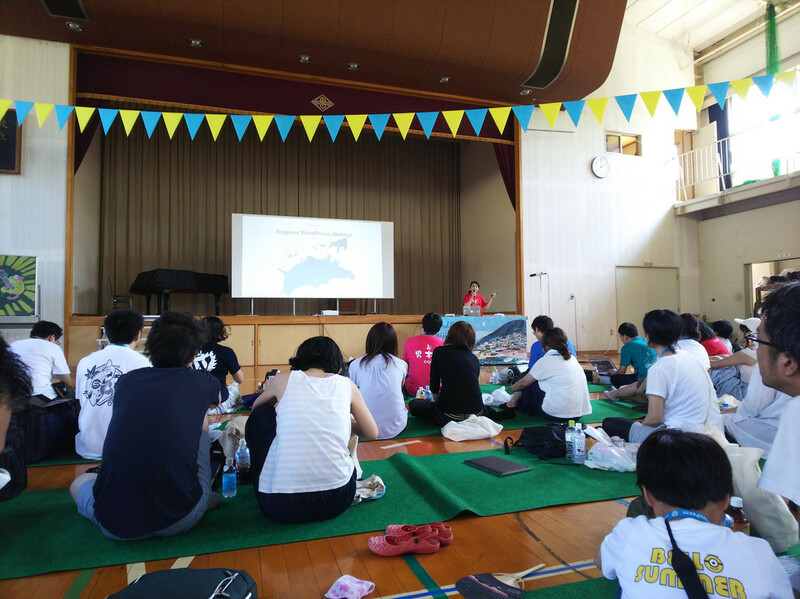 I hope such an event happen again on Ogijima (with more English presenters? that may be asking too much) and a big thank you to all the people who made it possible, especially Junko, Mariko, Shinichi and Yamato.